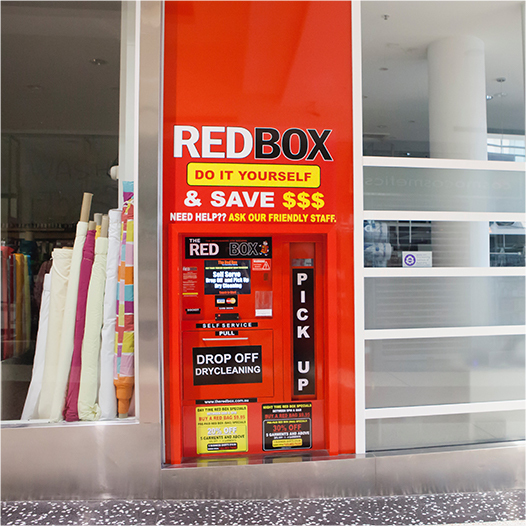 RED BOX INSTRUCTIONS OR ASK ONE OF OUR FRIENDLY CUSTOMER SERVICE ATTENDANTS FOR ASSISTANCE. IT ONLY TAKES 30 SECONDS! From fashion and fabrics, to stain removal, the latest technologies and the innovation of the 24/7 REDBOX – we are the future of dry cleaning.